In a reprieve to top industrialist Kumar Mangalam Birla and others, who were named as accused in its FIR in one of the coal blocks allocation scam cases, CBI has filed a closure report in a special court here. 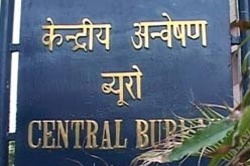 CBI has told the court it will file some documents related to the case before it after which Special CBI Judge Bharat Parashar fixed the closure report for consideration on September one. 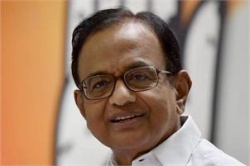 Taking credit for the uptick in domestic economy, former Finance Minister P Chidambaram today said the 5.7 per cent growth in the first quarter vindicates UPA government's projection that revival would take place in the beginning of 2014-15 as a result of measures taken in the previous fiscal. "The GDP data for the first quarter of 2014-15 was released yesterday and the Congress party and I are naturally very pleased. 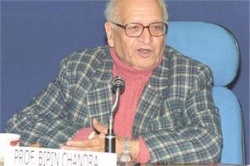 Noted historian Bipin Chandra died today at his residence here after prolonged illness. He was 86. "He had not been keeping well since last few months. He passed away at 6 AM," his family said. 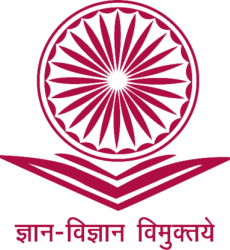 A Padma Bhushan awardee, Chandra had donned multiple roles including that of chairperson of the Centre for Historical Studies, Jawaharlal Nehru University, Member of the University Grants Commission (UGC) and the Chairman of the National Book Trust (NBT). Prime Minister Narendra Modi arrived in this Japanese city today on a visit which is expected to see new vistas being opened in bilateral ties with particular focus on cooperation in the fields of defence, civil nuclear and infrastructure besides commerce. On his first bilateral visit outside the subcontinent as the Prime Minister, Modi arrived at the Osaka International Airport to begin the first leg of his five-day visit to Japan. Taking cognisance of CBI's charge sheet, a special court today summoned Lt Gen (retd) Tejinder Singh on September 1 for allegedly offering Rs 14 crore bribe to then Army Chief Gen V K Singh for clearing file pertaining to procurement of 1,676 heavy mobility Tatra vehicles. 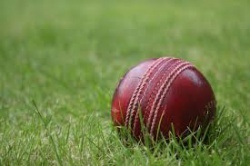 Buoyed by their big victory that was achieved on the back of a clinical all-round display, a rejuvenated India will look to continue the winning momentum and take an unassailable 2-0 lead when they lock horns with England in the third one-dayer here tomorrow. 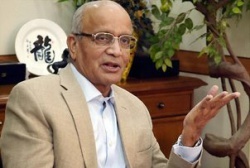 Calling for practical reforms in labour laws, Maruti Suzuki India Chairman R C Bhargava says policy must allow employment of temporary workers in such a manner that the last to be hired becomes the first to be laid off during downturn but they must be paid subsistence wage. 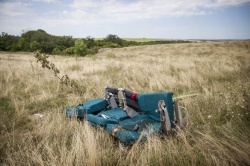 The trial of those responsible for the downing of Malaysia Airlines flight MH17 in July over Ukraine could be conducted either here or the International Court of Justice (ICJ) in The Hague, a top minister has said. Defence Minister?Hishammuddin Hussein said that the Attorney-General's Chambers is in the midst of determining the best way to obtain justice over the downing of the plane. 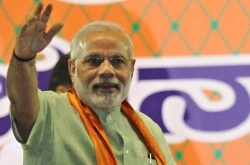 Prime Minister Narendra Modi today greeted people on the occasion of Ganesh Chaturthi and sought the blessings of Lord Ganesh. "Ganpati Bappa Maurya....Greetings on Ganesh Chaturthi. On Ganesh Chaturthi, we bow to Lord Ganesh. 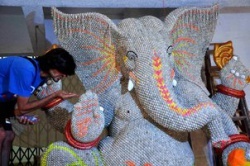 "May Lord Ganesh shower his blessings on us and enrich our lives with peace, joy & wisdom," the Prime Minister said in a message released by his office. Foreign direct investment (FDI) flows to India surged by about 34 per cent to USD 1.92 billion in June, according to the official data. 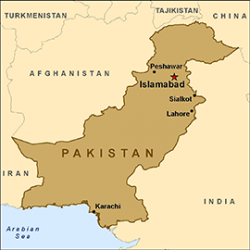 In June 2013, the country had received FDI worth USD 1.44 billion. During April-June in this fiscal, the foreign inflows recorded a growth of 34 per cent. 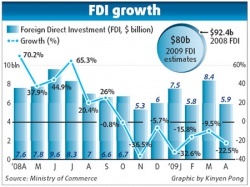 FDI was at USD 7.23 billion in April-June, 2014-15 compared to USD 5. 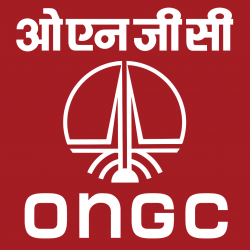 ONGC has announced that it would offer 500 scholarships worth Rs 48,000 per annum each to Scheduled Caste (SC) and Scheduled Tribe (ST) students in various courses. The scholarship will be given to students pursuing courses in engineering, medicine as well as masters courses in business administration, geology, and geophysics. Fifty per cent of these scholarships are reserved for girl students, an official release issued here today said. Indian-origin English footballer Michael Chopra was the first pick, though not the costliest, in the International Players Draft of the Hero Indian Super League, signed on by the Sachin Tendulkar co-owned Kerala Blasters here today. Chopra was chosen for USD 58,185 in the first round of the seven-round draft in which all eight franchises of the IPL-style tournament took part. Pakistan Prime Minister Nawaz Sharif today met President Mamnoon Hussain here and discussed the current political crisis caused due to anti-government protests spearheaded by opposition leader Imran Khan and cleric Tahirul Qadri, demanding the premier's resignation. 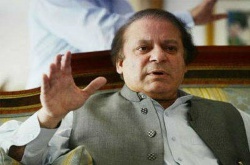 Sharif briefed the President about the measures taken by the government to peacefully deal with the protests by Khan and Qadri. Amid escalation in violence in a number of Gulf countries, India today expressed deep concern over the rise of fanaticism, extremism and terrorism in parts of the Arab region, saying they are tearing apart the fabric of societies as well as affecting regional stability. A defiant Pakistan today made it clear that it will continue talking to Kashmiri separatists, saying that the "bottomline" for Indo-Pak talks on Kashmir issue was to engage all stakeholders, evoking a sharp reaction from India which accused it of adopting an approach different to the one laid down by Simla Agreement. 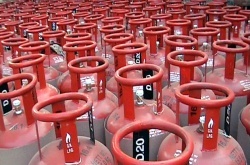 Government today said it will come out with a new natural gas pricing formula by September 30 keeping in mind the interest of investors and public. Replying to questions in Rajya Sabha, Oil Minister Dharmendra Pradhan said the NDA government decided to review the pricing formula keeping in mind public interest and recommendations of the Parliamentary Standing Committee. 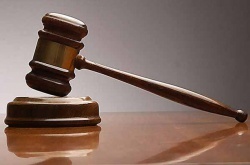 Pakistani national Arshad Khan, arrested in connection with alleged conspiracy of Lashkar-e- Toiba to carry out attacks in Delhi and adjoining areas, was today remanded to nine days police custody by a Delhi court. Arshad, who was lodged in Kolkata jail in connection with shoe baron Partha Roy Burman kidnapping case of 2001, was today produced before the court here in pursuance to the production warrant issued against him. Palestinian negotiators are mulling over an Egyptian proposal to end the month-long Gaza war with Israel, as the clock on the latest 72-hour ceasefire ticks down. The ceasefire ends at midnight today. Since it went into effect Sunday, Israel has halted military operations in the coastal territory and Gaza militants have stopped firing rockets. Clearing government stand on FDI in multi-brand retailing, Commerce and Industry Minister Nirmala Sitharaman today said the NDA government will not "entertain" foreign direct investment in multi-brand retail. 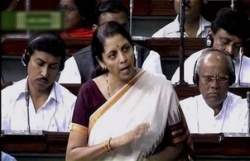 She said during Question Hour in Rajya Sabha that BJP got a massive mandate on the basis of its election manifesto which opposes FDI in multi-brand retail. 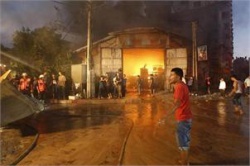 UN Secretary-General Ban Ki-moon has welcomed Egypt's announcement that the Israelis and the Palestinians have accepted another 72 hours' unconditional humanitarian ceasefire and urged all sides to avoid steps that would lead to a resumption of violence. 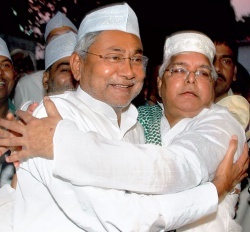 Bitter foes for almost two decades, former Bihar chief ministers Nitish Kumar and Lalu Prasad today hugged each other as they launched a joint campaign in support of their alliance candidates for the August 21 Assembly by-polls, and took on ruling BJP at the Centre. 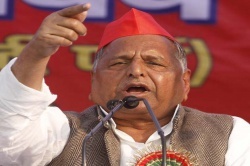 The ruling Samajwadi Party in Uttar Pradesh today announced candidates for three more Assembly seats, for which by-elections are to be held. 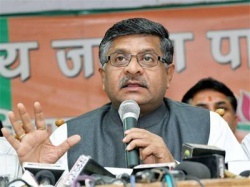 Former MLA Vachaspati Pasi has been nominated for Sirathu seat, Kaptan Singh Rajput for Chakhari and Mahendra Singh Patel for Rohania, SP national general secretary Ram Gopal Yadav said in a statement here. With this, the party has named candidates for 10 out of the 12 seats where bypolls are to be held. 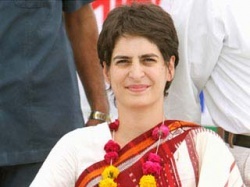 Seeking to scotch the intense speculation about her taking up a significant post in the Congress party, Priyanka Gandhi today dismissed it as "conjecture" and "baseless rumours". "The constant conjecture about my assuming various posts in the Congress party and the manner in which this issue is brought up at opportune moments is incorrect," Gandhi said in a brief statement here. 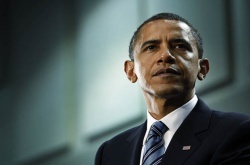 The American military operation in parts of Iraq against the Islamic State terrorists is "limited in scope and duration", US President Barack Obama has informed the Congress.In a letter to John Boehner, Speaker of the US House of Representatives, on War Powers Resolution regarding Iraq, Obama said he has authorised the Armed forces to conduct targeted airstrikes in Iraq. In yet another ceasefire violation, Pakistani troops targeted Indian forward posts with small arms and automatic weapons along the Line of Control in Poonch district of Jammu and Kashmir, prompting Indian forces to retaliate. 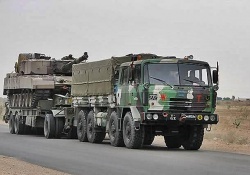 "Pakistani troops opened unprovoked firing from small arms and automatic weapons at our forward posts in Bhimbher Gali sub-sector in Poonch district around 2230 hours yesterday," PRO Defence Lt Col Manish Mehta said.
) 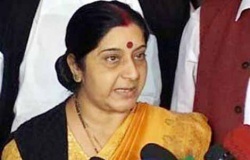 Seeking deepening of ties with ASEAN, India today said it would soon draft a five- year plan of action starting 2016 to take the "trajectories" of common interests with the 10-member grouping to a new level and particularly emphasised on improving connectivity in the region to further boost trade and people-to-people contact. US President Barack Obama has authorised "targeted airstrikes" against Islamic militants to protect American military personnel and airdrops of meals and water to thousands of religious minorities trapped on a mountaintop in northwest Iraq. In a late night televised address, Obama yesterday said the US "cannot turn a blind eye" when it has the capability to prevent genocide of Iraqi minorities stranded on mountain. Victorian Premier Denis Napthine today paid his first-ever visit to a gurdwara here and acknowledged the growing role and contributions made by the Punjabi community in the key Australian state. Wearing a headgear as mark of respect in the Blackburn Gurdwara, Napthine walked across the premises along with his Multicultural Affairs minister Matthew Guy and Amita Gill, the first Sikh woman to stand for the state polls as a Liberal Party candidate.